‘Life-threatening.’ The National Weather Service says the cold throttling the Chicago area through Thursday morning could exact frostbite on skin exposed for as little as 10 minutes. ■ … bringing the city to a virtual halt. ■ Chicago: Colder than Antarctica … and Mars. ■ The National Oceanic and Atmospheric Administration twitter-trolled President Trump for his ignorance of climate change. 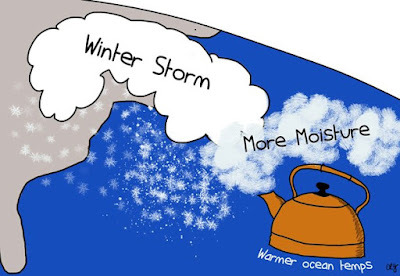 ■ One more time: The difference between weather and climate. ■ Where to find warming centers in the area. ■ A searchable list of what’s closed. Flush the toilet … and other tips for keeping your home functional during the cold—including when you can stop letting your faucet drip. ■ How to protect dogs and cats from the worst of the weather’s effects. ■ For ride-share and taxi drivers, it is the best of times, it is the worst of times. ■ Chicago’s Divvy bike-share program is operating—but staffers won’t be out moving bikes around, so you might have some trouble finding one. ■ Comcast is making its Chicago-area Xfinity Wi-Fi hot-spot network free through Thursday. ■ Tip to reporters covering the cold: Take a pencil, because pen ink can freeze. ‘Residents of Chicago are being forced to slice into deep dish pizzas and crawl inside them.’ The cold snap provided punchlines for late-night comedians. ■ The Sun-Times profiles the “small-time developer with big dreams” who helped bring down Solis. ■ Solis paid himself hundreds of thousands of dollars from his ward campaign committee. ■ Solis has quit as chairman of the City Council Zoning Committee. ■ Mayoral candidate Susana Mendoza says her rivals are “part of the very same corrupt system” … of which she also is a part. ■ Chicago’s inspector general says the Chicago Elections Board is unprepared for a natural disaster or cyberattack—or much of anything else. Black, openly gay—and ‘lynched’ in Chicago. Police are hunting two people who hospitalized an actor from the Chicago-based TV series Empire in what police describe as “a possible racially charged” assault. ■ Production on the show has been halted. Trump’s menacing tweets. The Committee to Protect Journalists has tallied up the Twitter blasts in which the president insulted or criticized journalists and news organizations, or condemned and denigrated the news media as a whole—and concludes that, as a percentage, they’re on the rise. ■ Donald Trump Jr. has a “fixer” who goes after the media and, The Daily Beast says, sometimes crosses the line. Apple vs. Facebook. A Facebook program that collected user information is getting booted from the App Store. ■ A high school freshman discovered the iPhone bug that let FaceTime eavesdrop on people, but his lawyer mom couldn’t get Apple’s attention. Happy birthday to Square. Today marks two years since this thing’s first public issue, after revelation of its existence three days earlier on WGN Radio. Thanks to those who keep making it possible.